It's hardly a family reunion made in heaven when, following the recent deaths of her mother and father, beautiful Tess Silverman arrives in the country after nearly 20 years in the city with dreams of selling off her share of the family ranch, Drovers Run. Tess receives a chilly reception from her half-sister Claire, who has plans of her own for the property — plans which don't involve sharing with a sister she no longer knows, let alone selling. Can these two passionate women overcome their differences to hold on to their late father's legacy? Tensions between the estranged sister deepens when an innocent mistake by Tess allows the herd to escape, starting a chain of events that leads to Claire making some difficult decisions about the future of Drovers Run. It's shearing time and one of the men hired on to do the job arrives with a reputation as a killer. Meanwhile, Tess witnesses strange goings on and uncovers a secret, as Claire struggles to maintain her authority over the shearers, desperate to meet the deadline for selling her wool. A letter from Tess's solicitor forces her to make a decison about her plans for the future. All the women of Drovers Run have their eyes on the prizes when the rodeo comes to town! City girl Tess develops a new appreciation for some of the country's more masculine sights, while Claire is determined to win big and prove she's as good as any man, her father included, when it comes to managing a ranch. Meanwhile, Becky's reputation lands her in serious trouble, and the two sisters forget their differences and come to the rescue. Claire buys a pen of undernourished sheep from the stock sales, leaving Tess to question her judgment. When the truck transporting them breaks down, the girls are left to drove the ailing sheep home. Meanwhile, Jodi's poor exam results (38!) are a disappointment to her mother who see's an opportunity wasted and asks Claire to take Jodi on full time. Tess's confidence is shaken after she falls from her horse, forcing her to wonder whether she truly belongs at Drovers Run. Claire refuses to let Tess help in the care of her late father's ailing stallion and must make her toughest decision since Jack's death. Meg is concerned that Jodi may be spending too much time with Becky. During a flirtatious dinner at Alex's and Nick's house, Tess learns that Drovers Run is mired in debt, and she confronts Claire. An examination of the ranch's records unearths the unexpected: returned letters from Jack to Tess that Tess's mother never told her about. The letters impact Tess and Claire deeply and in unexpected ways. 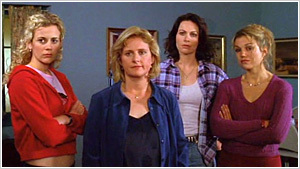 Meg and Claire discover more about Becky's home life when she temporarily returns to work at her parents' truck stop. Claire must pay off a debt to Harry Ryan, who has his eye on Drovers Run. Tapped out of cash, she has no choice but to offer him her father's old mahogany desk, which is steeped in sentimental value for her and Tess. Meanwhile, A feral bull is wreaking havoc at Drovers Run and Tess trades in her cappuccino machine for a daily cow. When Claire's new mare runs off with a wild stallion, Alex and Nick offer their help. Tess and Nick search for the horses on motorbikes while Alex and Claire take to the skies in a helicopter. Finally, they track and rope the mare, and both Tess and Claire find themselves attracted to Nick because of his brave efforts. Just when Tess thinks she's beginning to get the hang of ranch life, the hunt for a dangerous wild boar that is threatening the stock disrupts life and throws her skills into question. Tess puts herself in danger as she comes between the boar and Claire's beloved cattle dog. The pain of dealing with loss grips the women of Drovers Run and each are forced to examine events — some old, some new — and find a way to deal with these emotional life-altering events. Who's A Big Girl Now? The youngest member of the Drovers Run family is ready to celebrate her 18th birthday in style — but why doesn't anyone else seem interested in helping her mark such a special occasion? Meg struggles to cope with the reality of Jodi's coming of age and during the ensuing surprise party, relationships are put to the test. Jealousies and family tensions between the brothers Ryan suddenly come to light when an innocent question by Tess re-opens a very ugly wound. The ladies of Drovers Run have a ringside seat when Nick and Alex go head-to-head and work out their frustrations on each other. Claire and Tess make a daring rescue, but all is not as it seems, prompting Claire to work harder than ever to keep Drovers Run and Tess reveals why she's frightened of true love. When Bill Tilson decides to sell up and move to the city, Claire sees the precariousness of her own situation on Drovers Run. "I intend on spending the rest of my life on Drovers Run. Theft is on everyone's mind. There are cattle duffers working in the district. Killarney has been struck — Nick's high tech security cameras undone by rifle fire — and a flock of Claire's sheep have gone missing. Claire's outrage at the thieves is tempered by mortification when she discovers her sheep haven't been stolen at all, but are wandering in the neighbouring National Park. The arrival of Senior Constable Cook to inform Claire of this puts the wind up Becky and Jodi who suspect he knows more than he's saying about Becky's altercation with Brian. Becky finds an ingenious way to exact revenge on Brian. 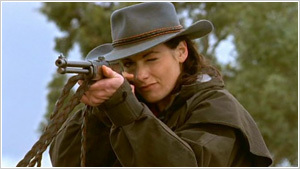 When Claire attends a seminar on artificial insemination with Alex she leaves Tess in charge of Drovers Run. In spite of a few doubts, Claire gives Tess a new pair of boots to honour the occasion. Little does Claire realize that her sister will really have to earn her boots in her absence, thanks to an environmental crisis that makes the farm's animals deathly ill.
Claire and Alex endure a three hour drive to Fisher together only to be involved in a bingle with Peter Johnson who is running the seminar. He assumes Alex and Claire are a married couple and manages to rile Claire even more. The sudden death of local farmer Max Martin alarms Harry, prompting inner fears of his own mortality, and a sudden outward drive to defy whatever fate may have in store by pursuing instant and rapid expansion of his property. It's all fun and games at the annual hay bale race, which Alex has won every year. But Claire and the girls are determined to unseat him, even if it means bending the rules. Meanwhile, back at Killarney, Harry suffers a nearly fatal accident, which makes him reconsider his will — a change that will have drastic consequences for his boys, Nick and Alex. After reaping good profits at the sheep sales, the girls are ready to celebrate. A night at the pub, a bit of Karaoke perhaps, all the signs of a great "Girls Night Out". But things don't go as planned when it is discovered that the new barmaid, Kimmy, has been copping the same abuse Becky fell victim to at the hands of Brian. Resolving that something must be done with this dangerous predator, the decision is made to wait until closing and see if they can catch Brian fair and square. Claire is finding it difficult to come to terms with Tess' new-found relationship with Alex. Her dream of developing a quarter horse breeding program at Drovers Run looks as if it may be close to coming to fruition and she's using it as an excuse to push Tess away. Claire is about to achieve her dream, and wants Tess to have hers — that little cafe in Brunswick she used to talk about. Liz Ryan is brought in to help Jodi prepare for the upcoming Miss Gungellan quest. When Alberto, a good looking itinerant Italian rescues Jodi from a rampant steer she falls hopelessly in love with him. At first Meg isn't too worried as Alberto will be moving on bu before he can leave, he saves Jodi yet again, this time from a snake, incurring a snakebite himself in the process. While he is recuperating, love starts to bloom between him and Jodi. Which is exactly what Claire is hoping would be happening between her mare and Harry's stallion. Guess who's playing Psych 101? When Tess finds an old psychology textbook, she becomes obsessed with "the three levels of why": as in, "Why doesn't Alex bring me flowers?" and "Why are Jodi and Becky at each other's throats?" Tess however is not prepared for is the truths she uncovers about all those around her and also what she is most reluctant to answer herself. While Tess is busy toying with her probing questions, Claire and Meg are left at the center of an entirely different psychological war. 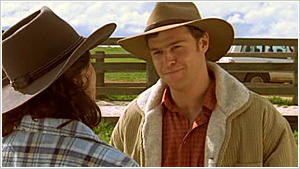 Drovers Run is big, but is it big enough to handle two new city slickers? Tess is delighted when Simon and Briony, two old friends, show up for an unexpected visit. Simon and Briony are her best mates from the city and while they're still hugging hello they drop their bombshell: they've got a lease on the café they all dreamed about and they want Tess to come back to the city with them ASAP. Tess must decide between old ties and new love as she weighs her new life against her former urban roots. There's trouble in Drovers Run — especially when an old face makes a new (and unwanted) entrance at the worst possible moment. As Jodi is in the final stages of arranging a charity polo match as part of her fund-raising efforts for the Miss Gungellan quest, Brian decides it's high time to reacquaint himself with Becky, who's less than happy to receive this blast from the past. Becky finds Brian ransacking her room and he informs her the charges against him have been dropped as a result of Kimmy retracting her statement. Becky is devastated and vows she won't let him get away with what he did to her. When Brian's body is discovered in the dam, everyone suspects Becky… but is she really to blame?